I would like to talk about fucose. 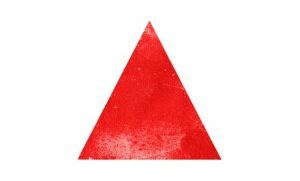 ‘Fucose…is that the red triangle1?’ is a question commonly asked by colleagues who are either advocates of the Oxford notation2 system, or less informed about the joys of glycan analysis. The answer, however, is always ‘Yes.’ And fucose is so much more than just a red triangle. Of all the six-carbon sugars present in mammals, fucose has the most unique properties3, and fucosylated glycans have wide-reaching physiological significance4. With roles and effects ranging from their presence on blood group antigens5, to epitopes leading to allergic responses to bee stings6 and potential clinical biomarkers of cancer progression and prognosis7. Fucose even has a role in regulating development pathways8 and facilitating efficient parasitic transmission during malarial infections9. One of the most prominent roles of fucose — or rather the lack of fucose (more about that shortly…) — is within the biopharmaceutical industry and, specifically, the production of monoclonal antibodies (mAbs)10. The biopharmaceutical industry is fast-growing, with total biologics expected to account for 52% of the top 100 selling products by 202411, and the top-selling biologics today, for the foreseeable future, is mAbs. So, what is the link between fucose and this multi-billion-dollar industry? ADCC12. Antibody-dependent cell mediated cytotoxicity (ADCC) is the primary mechanism of action for many therapeutic monoclonal antibodies13. This is a good thing, so we want lots of it! During ADCC, mAbs bind to their target cell before recruiting effector cells through interaction between the mAb Fc region (refer to Figure 2) and the type III neonatal Fc receptor (FcγRIII) of natural killer cells14. 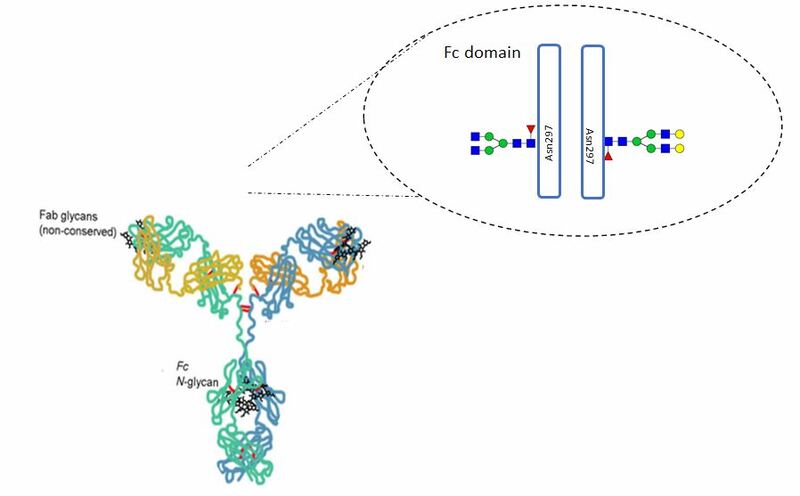 N-linked glycans are bound to this Fc region, and the amount of fucose present on the glycans directly affects their affinity to the FcγRIII. An increase in fucose, leads to a decrease in binding affinity – this means less efficient effector cell recruitment and a decrease in ADCC…easy right? Well, not necessarily. The primary concern for manufacturers of mAbs is not the fact that increased fucose leads to a decrease in ADCC (and vice versa), but how much the level of fucose affects ADCC. Manufacturers normally deal in afucosylation (the lack of fucose) to get the most out of their products. Maximal activity requires higher levels of afucosylated glycans — i.e. higher levels of glycans containing lower levels of fucose, so more ADCC. Still with me? Good! But, there is a catch. There is always a catch. Stark observations have been made that links an increase, by as little as 5%, in the amount of total afucosylated glycans, to a striking 1.5 – 2-fold increase in ADCC; at a 60% increase in afucosylation, the ADCC rises 6-fold15. Compare this to the impact of terminal galactose (another sugar. See Figure 1) where a 60% increase is required to increase the ADCC activity only 1.5-fold. Clearly, when it comes to accurately determining the levels of fucose in your biologic, it is simply something you cannot afford to get wrong. As complicated as this is, there is a growing movement, interest and a fair bit of excitement in the potential utility of cellular engineering to produce biotherapeutics19. Two major problems exist to-date when it comes to accurately and sensitively determining levels of fucose in biologics. First and foremost, fucose just gets in the way! The most commonly used cell-lines for biotherapeutic production20 are rodent-derived (either hamster or mouse), and these cell lines like to add fucose to their glycans – a lot of fucose! Afucosylation levels in biotherapeutics are often sub-5% and so there is a lot of potential ADCC activity that could be unlocked if the levels of afucosylation could be increased. Glyco-engineering technology21 is capable of abolishing fucose addition to glycans, thus producing completely afucosylated mAbs, with up to 100-fold increased ADCC activity22. The second major problem is heterogeneity. Due to the nature of their synthesis, glycoproteins are not considered to be a single, homogeneous product, rather they are a heterogeneous pool of many different glycoforms. This heterogeneity complicates their analysis which becomes exponentially more difficult as the number and complexity of the glycoforms increases. So, what if this heterogeneity did not exist? What if therapeutic glycoproteins could be produced in a single homogenous form?23 This is the basis of an alternative type of glyco-engineering technology24, designed to remove heterogeneity from glycans, simultaneously enhancing afucosylation and making it possible to produce biotherapeutics in cell-lines previously inaccessible to the biopharmaceutical industry25. There is currently only a handful of glyco-engineered biologics on the market, however, there are many more in various stages of clinical trials26. Until a time when these technologies become industry mainstream, the solution to the conundrum remains an analytical one: N-linked glycans are complex and difficult to analyse, yet, despite their complexity, by combining powerful chromatographic separations with high resolution accurate mass spectrometry, multiple strategies exist to facilitate their analysis. 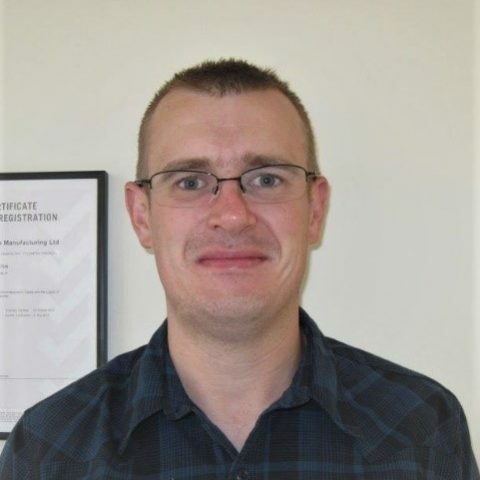 The ideal situation would be to be able to comprehensively characterise glycans at the intact protein level. This would ensure minimal loss of information during sample preparation steps and the complete glycan picture, in relation to the protein, would be retained. Whilst it is possible to analyse even the most complex of biopharmaceuticals, such as etanercept, in this way, the sheer complexity of the observed spectra and volume of information gained make it very difficult to assess the finer details – such as assessing potentially small differences in levels of afucosylation between samples. To achieve this, a level of simplification is required. In the biopharma industry, N-glycans are most commonly analysed at the released glycan level. This is the most comprehensive method for complete characterisation of the total N-glycan pool. This approach can assess glycans, not only as a batch-release test, but also to support cell-line development activities. Ultrafast methods have been optimised to enable high-throughput glycan profiling – with a total run-time of 2.5 minutes – to support process development. This allows levels of afucosylation to be assessed through identification and relative quantitation of each individual glycan. However, there are potential drawbacks – of course there are: By releasing the glycans, it is possible that information will be lost due to inefficient glycan release associated with biased sample purification procedures – not to mention the potential for glycan co-elution during HILIC chromatography, which can be characterised using mass spectrometry (MS), but not accurately captured and quantified using fluorescence detection (FLD) methods. An additional drawback for released N-glycan methods is that, whilst being information-rich, for more complex samples, with multiple glycosylation sites, removing the glycans deems it impossible to determine the micro-heterogeneity existing at particular glycan sites… which glycan came from which site? To alleviate this, it is possible to analyse glycans at the glycopeptide level – the glycan remains attached to the peptide, allowing site-specific glycosylation analysis to be performed. It is possible to separate glycopeptides using HILIC chromatography, but also, by utilising the multiple fragmentation options (ETD, EThcD) available on the Thermo Scientific™ Orbitrap Fusion™ Tribrid™ mass spectrometer that keep the glycan intact during glycopeptide fragmentation. For afucosylation determination, however, glycopeptide analysis is less suitable than released glycan analysis, due to the lack of information gained for low abundant glycans. Considering we know that for afucosylation, this is not ideal, as it’s the small details that really matter. “There must be an ideal solution” I hear you cry. Well, if you read on (and as you have gotten this far you may as well), there might just be one. The majority of mAbs contain a single site of glycosylation within the Fc region (see Figure 2), and there are various strategies available to separate a mAb into its constituent subunits. This is particularly appealing as using specific combinations of enzymes, with high resolution accurate mass (HRAM) mass spectrometry, it is possible to accurately and robustly determine levels of afucosylation in mAbs at the subunit level. Using the Thermo Scientific™ Q Exactive™ Plus Hybrid Quadrupole-Orbitrap™ mass spectrometer, it is possible to accurately quantify low abundant differences in afucosylation, reproducibly and quickly, and with very limited sample preparation, compared to released N-glycan methodologies. In addition, this approach can simultaneously quantify levels of high mannose type glycans… However, this is a story for another blog post. I hope it is now clear that fucose, or more accurately the lack of fucose, has the potential to greatly influence the activity of mAb therapeutics. Yes, it is the smallest of the commonly observed monosaccharides making up N-glycans. Yes, it is often seen as a ‘just a red triangle’ but in the case of fucose, this small red triangle has the potential to be very big indeed. For more information on the analysis of glycans please click here.